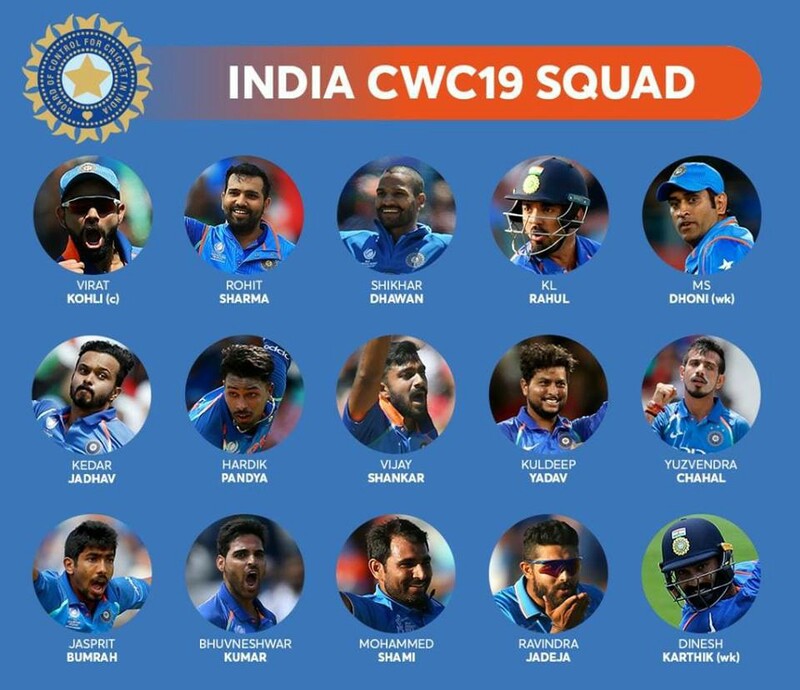 Seven players from India’s CWC 2015 squad have made it to the 2019 edition- the trio of Kohli, Sharma and Dhawan, wicket-keeper Dhoni, the pace duo of Bhuvneshwar Kumar and Mohd Shami and left arm spinner Ravi Jadeja. Why was Ravindra Jadeja selected for the World Cup? Before the official announcement, Jadeja’s spot was the one that was under most scrutiny along with Rayudu and Karthik. India could’ve chosen an extra pacer given that Shankar and Pandya were both seam all-rounders and Kuldeep, Chahal and Jadhav were spinning options. However it appears that Mohd Shami’s rise has necessitated the need for Jadeja in the squad. Shami doesn’t bat as well as Bhuvneshwar Kumar, and India normally play only two pacers. Over the last few months, Shami seems to have found another gear, and currently appears to have leapfrogged Kumar. A tail of Kuldeep-Chahal-Shami-Bumrah is however too long in modern cricket, and Jadeja will probably play in place of either Kuldeep or Chahal to give extra batting depth if Shami is the XI.